Annual Habitation Checks, Fitting Accessories, Damp Repairs, Accident and Insurance Repairs, Replacing panels with aluminium corrosion. As a member of the National Caravan Council Approved Workshop Scheme, Olly Motorcaravan Specialist is able to carry out habitation servicing on vehicles that are still covered by a manufacturer’s warranty. The scheme is supported by all the major tourer and motorhome manufacturers, National Caravan Council, The Caravan Club and The Camping & Caravanning Club. Hi, my name is Paul Butler.Many people in the industry also know me as Olly. Having worked on motorhomes since 1983, back in the days of the classics, like the Bedford CF, Commer, Ford Autohome and latest accessory the 8trak, my experience of motorhomes will never be an issue. I have worked at the largest Motorhome dealerships in Hampshire, gaining a vast range of knowledge and experience, and many of you may recognise me from there. 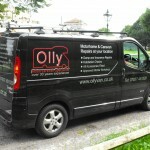 In 2008 it became time to go it alone and mobile in ‘Ollyvan’ with the support of my wife Nikki who also has many years’ experience working in the industry, our daughter Chloe and son Sam. With a dedicated insurance and damp repair workshop with the capability of accommodating up to 8 vehicles at any one time. 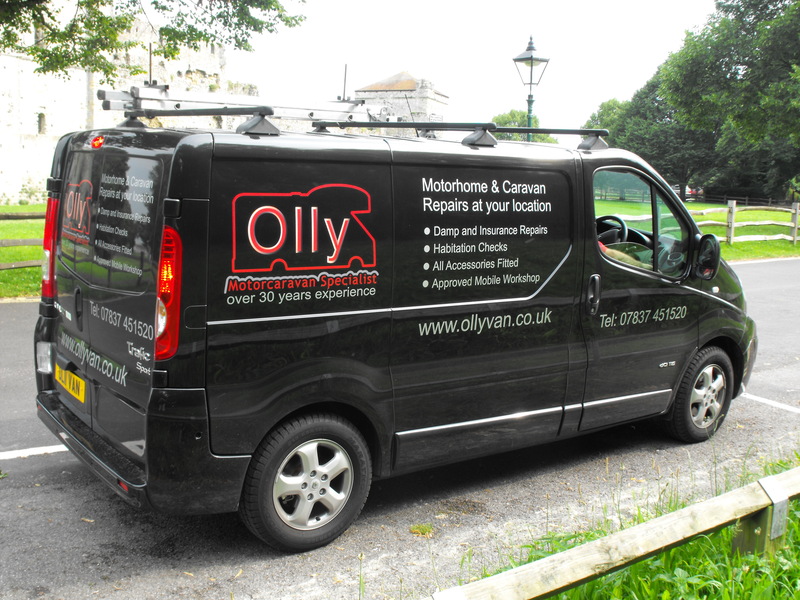 OLLYVAN and I will travel around Hampshire and parts of Dorset and there surrounding areas on a mission to offer the best, most professional and affordable motorhome and caravan service. There is no need to use your fuel or leave the house to take your motorhome or caravan for its latest service or repair.